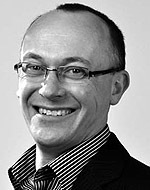 Dave Phillips is a principal with Strategy& based in London. He specializes in operations strategy and supply chain optimization within the consumer goods industry. Manufacturers that take a positive view of product proliferation are better meeting the demands of their customers.